Introducing the Cuddle Crew range from Lily and George!The super cute Danny Dog is soft, cuddly and .. Introducing the Cuddle Crew range from Lily and George!The super cute Evie Elephant is soft, c.. Introducing Hetty and Harley; the super soft and cuddly plush rattles from Lily and George.Th..
Bilibo - no lights, sound or batteries - all you add is imagination. 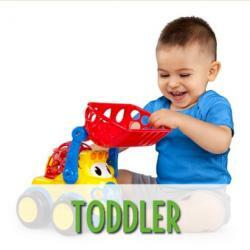 Bilibo is a new kind of toy - ..